According to Bloomberg, Uber is set to announce an acquisition of Middle East rival Careem in a deal worth $3.1 billion: $1.4 billion in cash and $1.7 billion in convertible notes. It says the notes would be convertible into Uber shares at $55 a pop, ahead of its IPO. If announced officially, this would mark one of the most notable and biggest tech acquisitions this year. Uber was reportedly in talks to acquire Careem as early as September last year. It was also said to be looking towards an acquisition of U.K.'s Deliveroo. As an initial public offering (IPO) nears, the San Francisco based company might be looking to solidify its global presence to keep momentum in the public markets, amid losses. 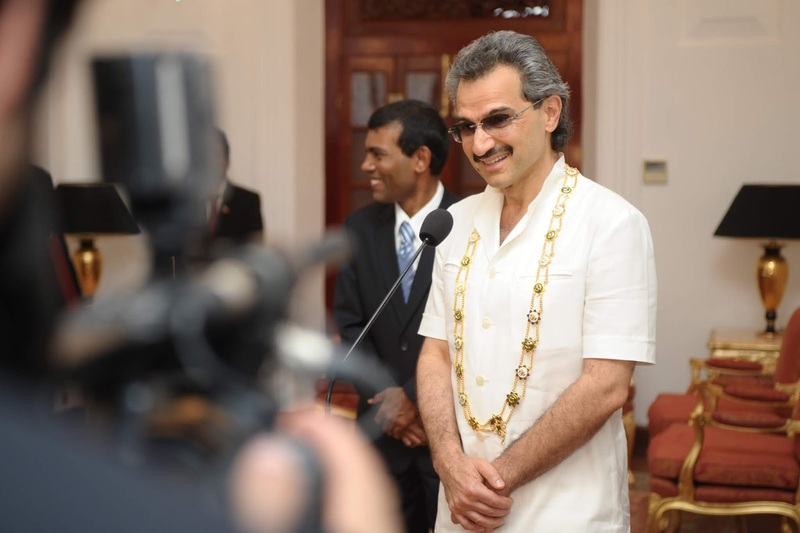 (Far right) - Kingdom Holdings CEO Al-Waleed bin Talal. Kingdom Holdings is a big investor in Careem, having co-led a $200 million round for the company in October. It also acquired a 7% stake - in Careem - in 2017 for $62 million. Just recently, Uber was said to be raising $1 billion for its self-driving unit ahead of an IPO. Such move would make room for involvement of outside investors in what counts as an expensive effort. As no fully commercial self-driving service has yet been launched, Uber might face scrutiny from prospective IPO investors concerning cash-burn - once reported to be $20 million per month - on this. Careem has raised some $770 million in funding according to Crunchbase data. Investors in the company include Coatue Management, STV, Kingdom Holdings, Uber rival Didi Chuxing, Endure Capital, Rakuten, DCM Ventures and Lumia Capital. Uber acquiring Careem would signal a commitment to the Middle Eastern market, one in which one of its largest investors - a Saudi Arabian sovereign wealth fund - is based.